Can I use Google Classroom with my trial? 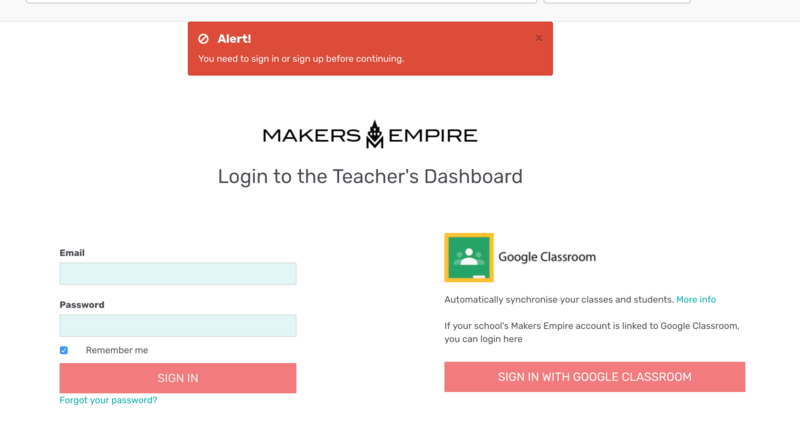 You can use your Google Classroom account to sign on into the Makers Empire program. If you haven't signed in on using google classroom, then sign out of the teacher's dashboard, and go to the sign in page. Here are the instructions to use Google Classroom.